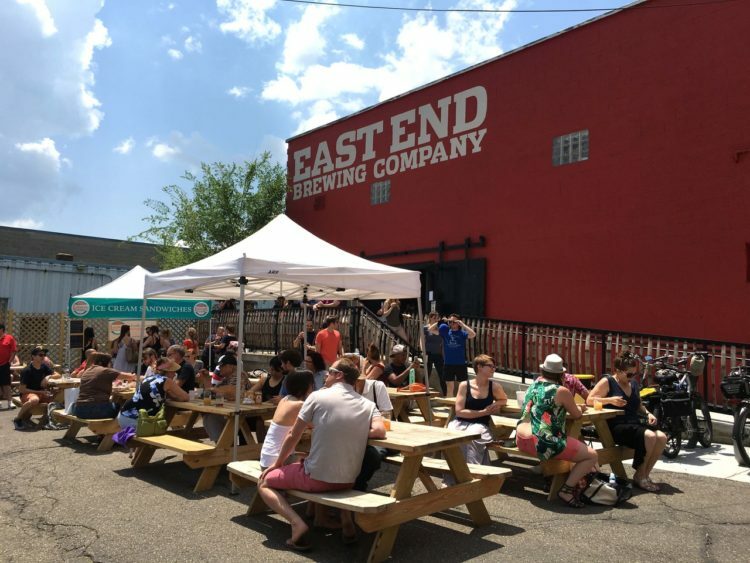 Since 2004, East End Brewing Company has been a pioneer in Pittsburgh craft beer. Photo courtesy of East End Brewing Company. When it comes to beer, we’ve come a long way from “pumping an Iron.” Our thriving craft beer culture has emerged after brewing for decades. 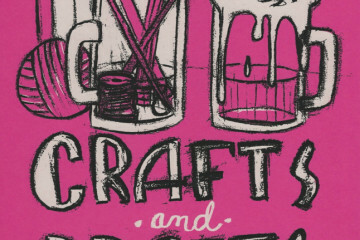 With new breweries opening frequently, a group of craft brewers from Grist House Brewery,11th Hour, Hitchhiker, Dancing Gnome, Allegheny City Brewing and Brew Gentlemen is seizing an opportunity to organize. Their group, Pittsburgh Brewers Guild, will give Allegheny County brewers a collective voice on beer tourism and education. It will also help them present a united front on issues like the county’s drink tax. Grist House’s Brian Eaton is the chairman of the guild, whose first project will be to design the Pittsburgh Brewery Guide, to include a printed map, website and mobile app that will let users explore local “ale trails” all over the city. They hope to release the guide this spring. The group — which filed in November for status as a 501(c)(6) trade organization — just received a $30,000 grant from the Pennsylvania Malt and Brewed Beverage Industry Promotion Board to fund the project. Visit Pittsburgh will help distribute the guide to Pennsylvania Turnpike rest stops and hotels, and hotel concierges will be trained to give recommendations on nearby brewpubs and taprooms. That last piece is especially important to 11th Hour owner Matt McMahon, the guild’s vice chairman. He hopes the guide will drive business to taprooms, where trained bartenders can educate customers about products face-to-face. 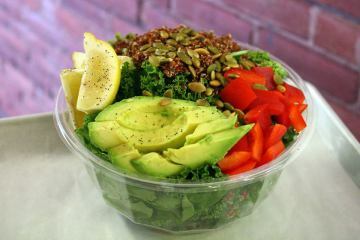 People like Scott Smith planted the first seeds more than a decade ago, and have embraced the growing demand. Smith founded East End Brewing Company as a production brewery in 2004. Now his business has expanded to include a brewpub in Larimer and a taproom in the Strip District, and he has plans to open a kitchen — helmed by Cure’s Justin Severino and Morcilla’s Hilary Prescott Severino — at the brewpub. 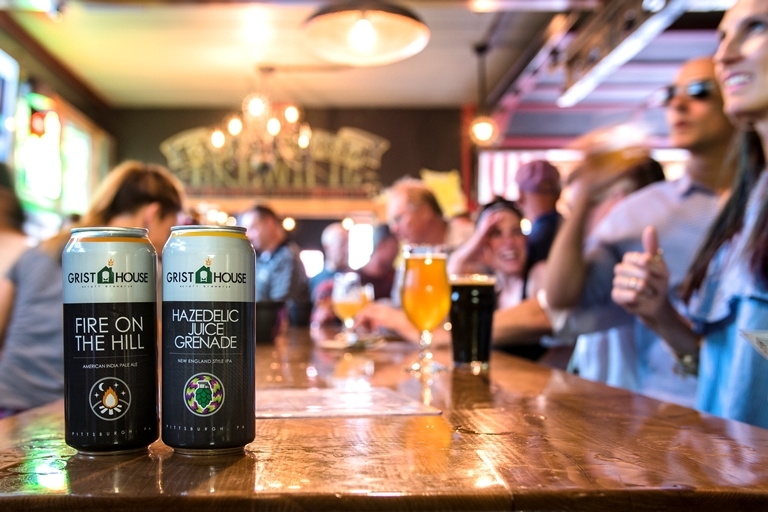 Grist House Brewery opened in Millvale in 2014. Photo courtesy of Grist House Brewery. From the beginning, Smith dreamed of Pittsburgh’s beer scene growing “into something bigger and better.” He sees the current brewing boom as the culmination of those goals. Ten years after East End opened its doors, Eaten opened Grist House in Millvale with his brother-in-law, Kyle Mientkiewicz. He’s seen the wave of new breweries opening up over the past few years. “A lot of people had the same idea that we did, and within six months after we opened, six other breweries had started,” Eaton says. In fact, Allegheny County boasts the most breweries in Pennsylvania, with the current count at 32. Eaton believes the locavore movement spurred this quick growth: Just as people want to understand what brings their food from farm to table, they want to know what goes into their beer — and learn how to make their own. Smith agrees that the city’s unique geography — with its 90 neighborhoods and distinct business districts — makes it easier for new beer establishments to pop up without encroaching on each other’s territory. One of those breweries is 11th Hour, which opened last summer in Lawrenceville. McMahon tried to get that brewery off the ground for four years, but finding a space to accommodate his equipment proved unexpectedly difficult. During that time, he noticed a trend: More and more young people were opening breweries — and they weren’t outsiders. They were locals with a passion for beer and a desire to give back to their communities. 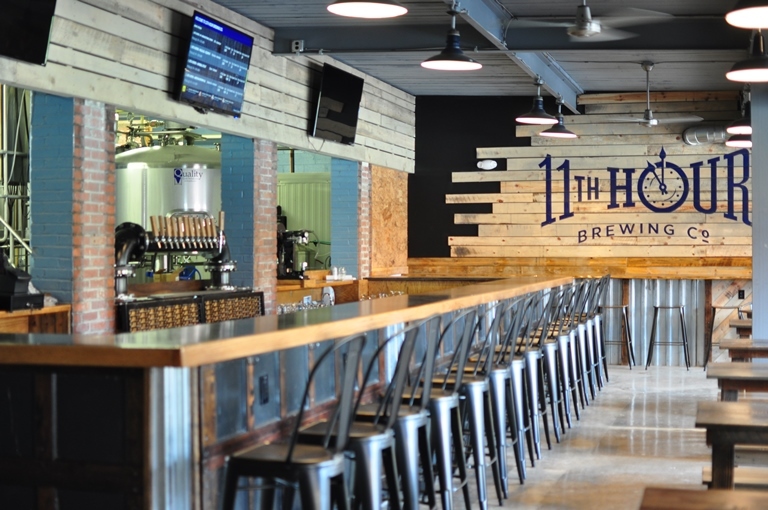 11th Hour Brewing Co. opened in Lawrenceville last summer. Photo courtesy of 11th Hour.